After delving into the work of Chicago-born photographer Kyle Thompson (our March Artist of the Month), I've identified three main themes that are delicately strung throughout his imagery. Isolation, hope, and serenity. Some images feature only one of these themes, some images nail all three, but any given image of his is able to stand alone and still be powerful. The hands are reaching up towards something but they are more welcoming than strained. In other images we see a light in the distance, signifying some kind of salvation or clarity. 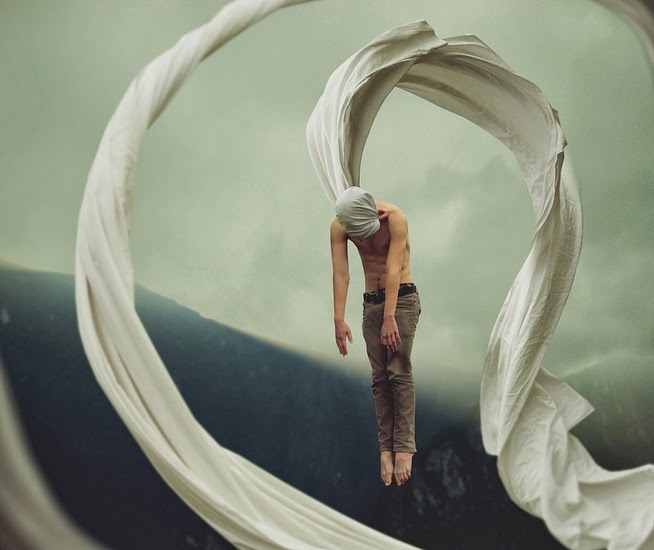 The Isolated figure is shrouded and appears to be helplessly hanging high above ground but certain clues tell me that the figure is perhaps not hanging, but jumping/levitating. His toes are pointed, his spine is curved forward, his arms are relaxed, and the fabric is not taut. The idea that he might actually be in control of this situation, along with the billowing white fabric and blue/green hued background, is definitely giving me a sense of Serenity. 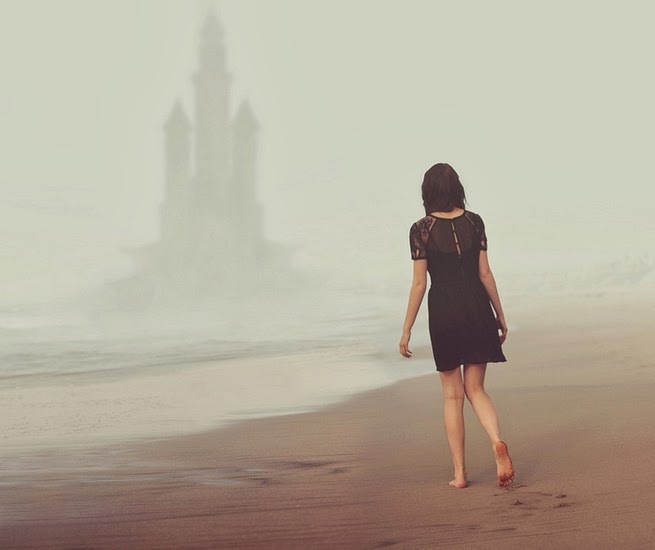 She appears to be stranded, which I take from her lack of belongings (even lack of shoes). But there's that Hope in the distance, in the form of a foggy, shadowy building that almost looks like a castle. And just round it off, there's also a sense of Serenity with the calm beach, muted color scheme, and the relaxed stance of the figure. An image that captures all three themes. I believe this "theme threading", let's call it, is such an important thing to deliver as an artist because once you have successfully created your own brand, or "look", people will be able to recognize your work immediately, even if they have never seen that particular piece before. It is something that Darryll has established in his career, with the common thread being society+technology and its effects on our perception. 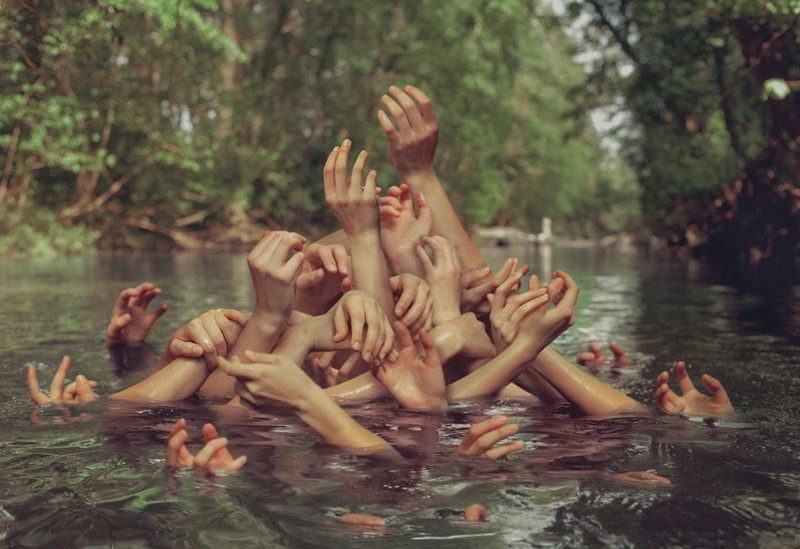 I believe Kyle Thompson has achieved this as well and is giving us another way to define art. 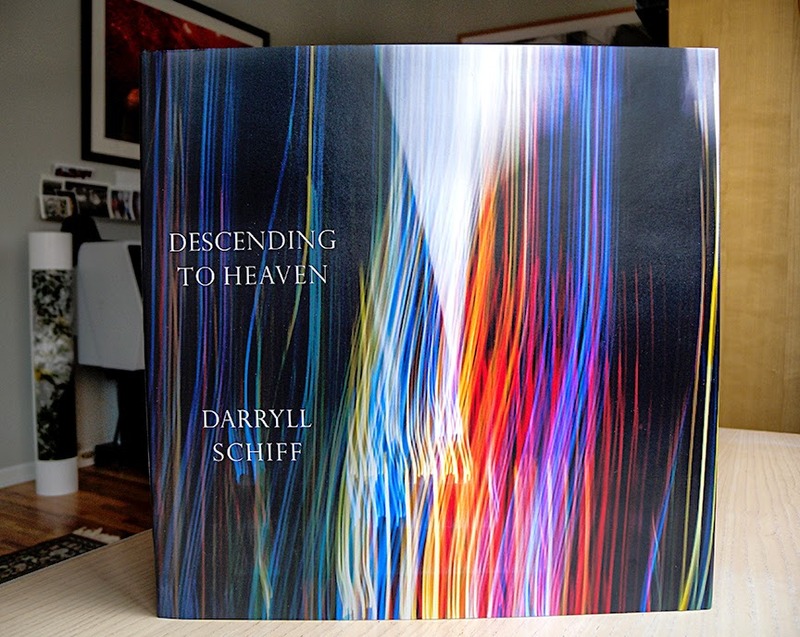 Recently, we've been very busy at the DSFA studio with Darryll's newest series, Descending to Heaven. 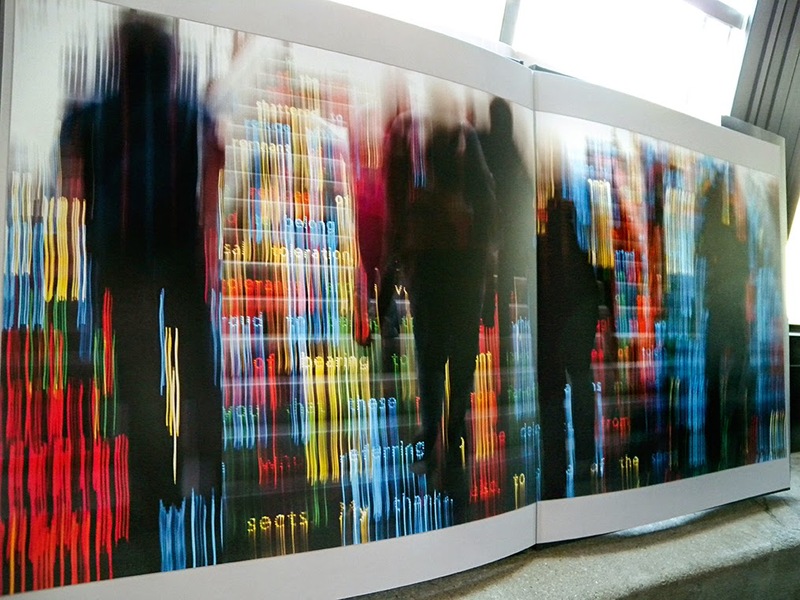 One of our tasks was to publish a large-format (in true Darryll Schiff form) photo book with select images from the series. We finally have a finished book and are ready to share it with the world. 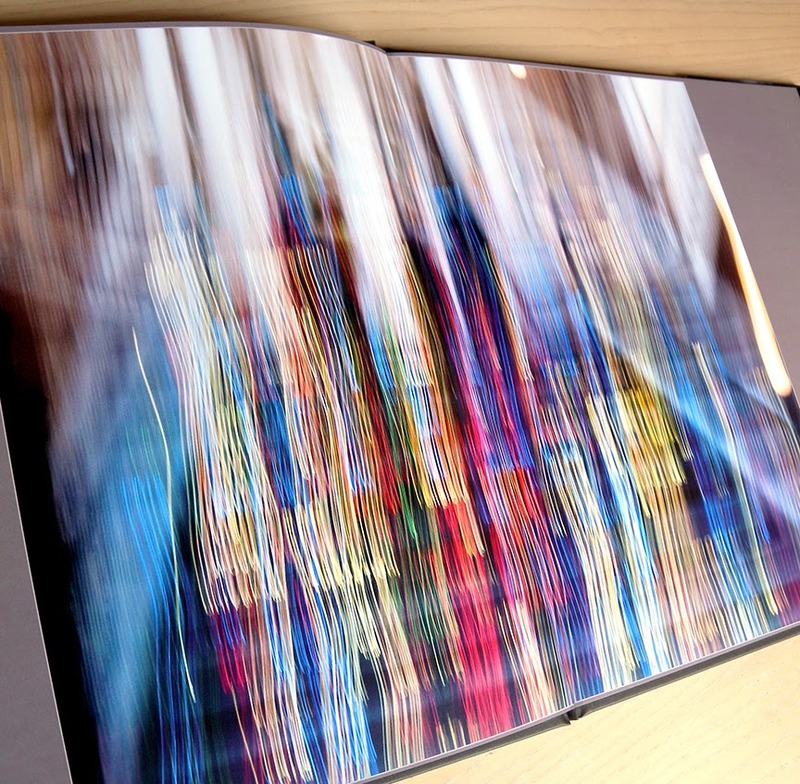 It is a 42-page, 12"x12", lay-flat, full-color, and might I say, gorgeous book. As well as pictures, we have included two pages filled with kind, creative, and generous words about the series from noted art critic, Michael Zehn. Creating a series-specific photo book is something we've done with a past series of Darryll's, El Lago, and will continue to do for future series. Books like these are important to the series as a whole for many reasons. Of course, it is a great way to promote the series. The actual prints are so large and it helps for potential buyers to see them smaller and closer together to get a better sense of the flow of the series. (see actual scale below). Chelsea with a proof from the series. The book is also meant to be a limited-edition collectible to represent the series or to accompany a purchased Descending to Heaven print. Additionally, we carefully mapped out the flow of the series in this book and therefore, it serves as a great reference for us at the studio when putting together a show. The index section of the book. 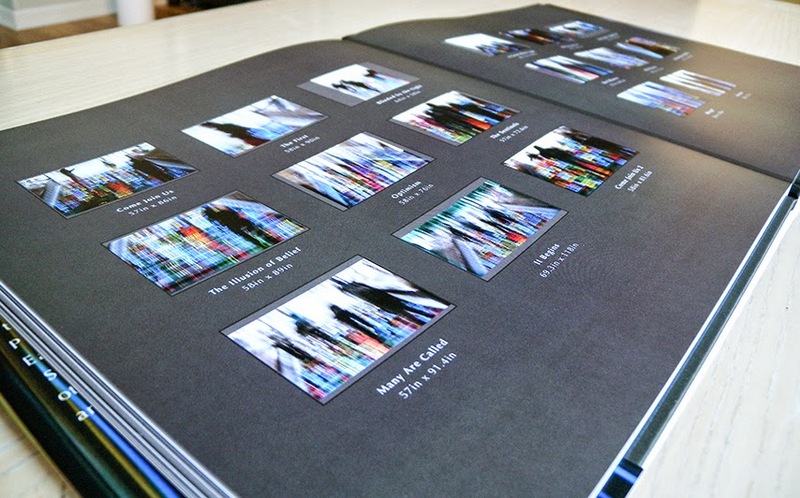 This book is truly one of a kind in the world of traditional photo books and printed at the highest quality, which is very representative of Darryll's work as a whole. To learn more about these limited-edition books, of which we only have a handful left, please e-mail me at chelsea@schiff-art.com. Here's a small set of links to preoccupy your mind and spark your creativity! Here is an insightful guide to follow when designing logos/brands, or anytime you find yourself using color! 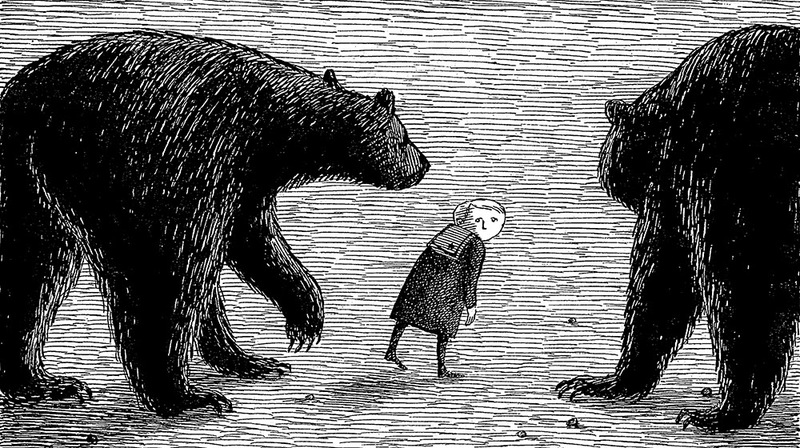 If you're in the Chicago area, go see the Edward Gorey exhibit at LUMA. Angela, the docent, will spill all the strange and surprising details about this man's life and work and it is truly enthralling. 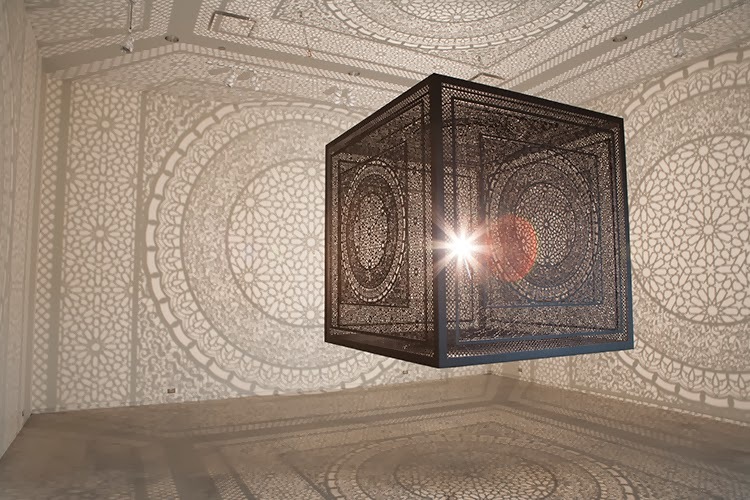 Anila Quayyum Agha has created an intricate cube lamp that casts its design on the walls surrounding it. This shadow and light art installation is becoming more and more popular it seems and will probably (hopefully!) soon leak into the interior design world. This little book by about creating and sharing your work is simple and so, so logical. Sometimes we just need people like Austin Kleon to break it down for us! LACMA has started a live read series where notable actors/actresses gather to do an unrehearsed table read of a classic movie script of Jason Reitman's choosing. The last script was Pulp Fiction featuring Joseph Gordon-Levitt and Seth Rogan (!! ).